Mumbai, Jan 30 , 2018 : Gold prices in India, the world’s second-biggest user of the precious metal, were at discounts as jewellers were postponing purchases on the expectation that the government will announce an import tax cut in its annual budget on Thursday. The lower import tax could boost India’s gold demand and support global prices that are currently trading near their highest in 17 months. The bullion industry has been urging a tax reduction to combat smuggling, which has increased since India raised the import duty to 10% in August 2013 to narrow its current account deficit. 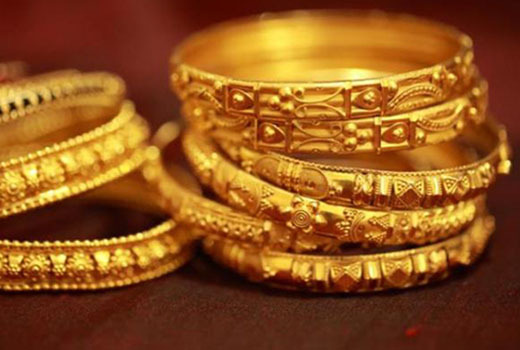 "We are expecting a 2 to 4% reduction in the import duty," Saurabh Gadgil, the vice president of the Indian Bullion Jewellers Association (IBJA), said. "Higher duty has opened up grey channels. The reduction is necessary to bring down the smuggling and unauthorised sales." In 2016, smugglers brought in 120 tonnes of gold to India, according to World Gold Council estimates. The smugglers sell gold at a discount to official domestic price and disrupt the business operations of banks and bullion dealers, said Harshad Ajmera, the proprietor of JJ Gold House, a wholesaler in the eastern Indian city of Kolkata. "Smugglers can offer a 1 or 2% discount as they are saving 10% import duty. We could not give discounts. We have to pay the duty," he said. Smugglers were this week offering discounts of up to $7 an ounce under the official price that includes the 10 percent import tax, said three gold dealers at Indian banks who follow the underground market to help with their valuations of the metal.